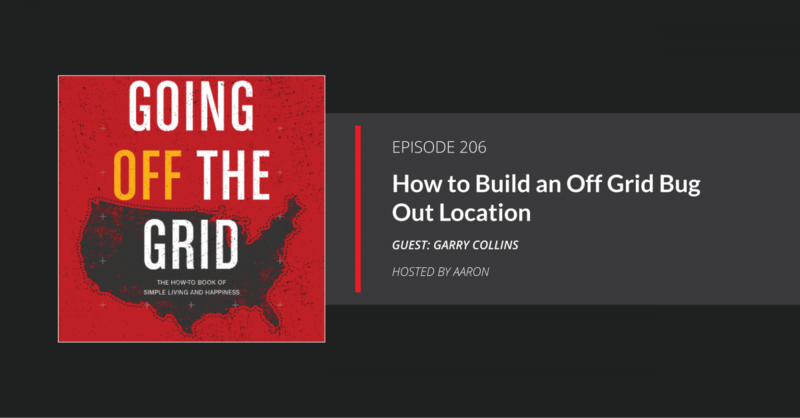 In this episode, Gary Collins is back with more off-grid home shenanigans, misadventures, and advice. You’ll get the ins and outs for when you’re ready to build out that perfect bug out location. Bug Out Locations and retreat cabins usually can’t be grid-tied due to their remote nature. And most preppers would rather their home away from home be self-sufficient should SHTF. But going Off-grid isn’t as easy as TV makes it look. There are lots of things to consider, building contractors aren’t often well versed in the materials or techniques, and permitting can be a nightmare. And sourcing the building materials and alternative energy equipment isn’t always as straightforward as one might think. Fortunately, Garry shares his experiences, advice, do’s and don’ts, and a whole lot more on what it takes to build an off-grid bug out retreat. He’s got some much knowledge on the topic; he even wrote a book about it.